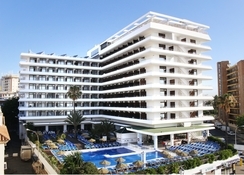 The beautiful coastal city of Torremolinos plays host to the magnificent 4-star Blue Sea Gran Cervantes. The perennially popular holiday destination sits on the edge of gorgeous aquamarine waters affording visitors the chance to unwind on the beach or take to those waters with an array of excellent sporting activities on offer. When you step into your room at the Blue Sea Gran Cervantes you'll be greeted by a beautifully decorated, fully-furnished guestrooms and suites, which afford magnificent views of the sea or the mountains. The hotel welcomes its visitors with plenty of options to keep you entertained, whether it be a trip to a fine-dining restaurant, taking in a slice of history such as the Colomares Monument or simply relaxing on the beach, you'll want your little getaway under the sun to never end. 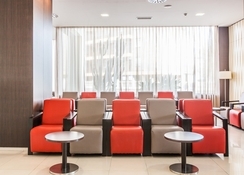 The nearest airport to Blue Sea Gran Cervantes is Malaga Airport. 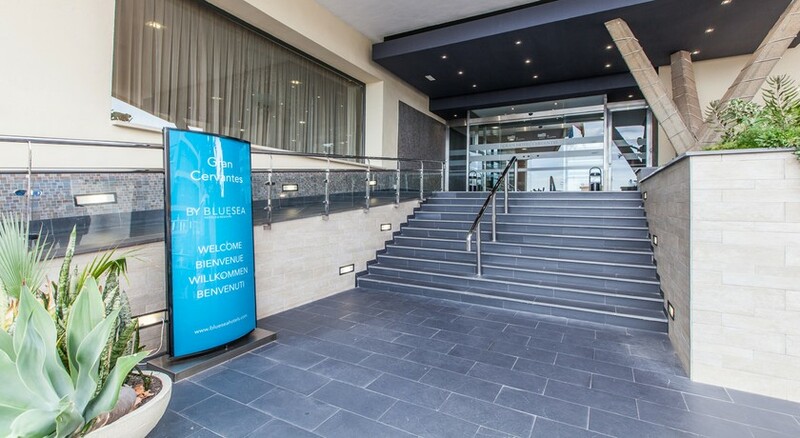 At just 7 km away you can be whisked to your room at the Blue Sea Gran Hotel Cervantes in no time. 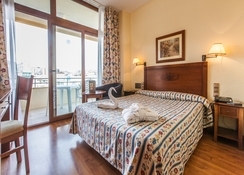 The Blue Sea Gran Hotel Cervantes is conveniently located from a host of great shops, restaurants and bars whilst the beach is a brisk 1-km walk from the hotel. Rooms are well appointed and offer modern furnishings. The interiors are decorated with light, soft tones that have been carefully balanced with each other, resulting in rooms that feel uplifting and compliment the beautiful Spanish sunshine. Guest rooms are available in Single, Double and Twin Room configurations, featuring either a mountain or sea view, and come equipped with amenities including television, 24/7 internet access, air-conditioning and much more. The hotel restaurant serves buffet style breakfast, lunch and dinner and includes poolside dining in the summer months. Here you can take your pick of dishes which include traditional Spanish and Adalusian favourites as well as international cuisine. Torremolinos includes a wonderful selection of restaurants and bars that are well worth a visit. The Spicy Sombrero serves a selection of delicious Mexican dishes, while the Il Gusto restaurant is a great place to find some excellent Italian food and Kathmandu Restaurant serves up a unique taste of Nepal and India. Stay at the Blue Sea Gran Cervantes and spend your time relaxing at the rooftop pool, which delivers sensational views across the Mediterranean Sea. In addition, you can also indulge yourself with a deep massage and health treatments at the hotel's spa as well as having access to the sauna or if you fancy being more active, you can check out the on-site gym. Very high quality from start to finish. Food was always delicious and fresh. Rooms were spotlessly clean. Staff were more than helpful and extremely friendly and polite. Would recommend to anyone. 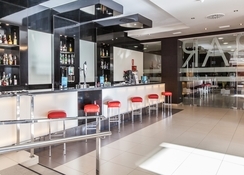 This hotel in Spain Costa Del sol is very high standard Quality I've stayed there many time. this hotel very close to the beach it alao have a steam room and gym. Brilliant and good value for money! Like this hotel and where it’s situated, perfect for all amenities & shopping. The beach is a five minute walk, the port at Benalmadena is a 39-40 minute walk along the promenade but well worth it (you can take a bus or taxi but the coast is beautiful). As a gym goer the rooftop gym is not the best but I use the gym on the Main Street which is only a 5 minute walk. The staff make this hotel, very friendly and accommodating. I will definitely be back as it’s my second time, hopefully not too long in the distant future. this is great I've been there last year three time book with teletext holiday this year i when in March also book again with teletext . Overall i was happy with the hotel and the facilities. Would definitely recommend to others and book again in the future.